If you’re shopping for a fancy new coffee machine for your kitchen, then there is a good chance that you’ve narrowed the options down to the illy iperEspresso coffee capsules or the Nespresso home coffee capsules. Making a decision between the two can be a bit of a challenge since they are each great coffee pod options. To help you select one, let us help you compare the two coffee capsule systems to determine which is the better purchase. If you do any traveling at all, then there is a pretty good chance that you’ve come across some cafes and coffee shops that serve illy espresso and coffee. In case this familiar red logo is not so familiar to you, here’s what you should know about illy – it is an Italian brand known for making high quality coffees since the 1930s. In recent years, the brand has been making a dent in the American market and is ready to take over your kitchen now. Keep reading for my mini illy Iperespresso review. The mission of illy is to help you be your own barista and make the best coffee at home as you possibly can. The coffee capsules come in a pressurized, sealed canister or cube that locks in the ultimate freshness level. In fact, once you open the canister, you have to refrigerate the remaining capsules. Using the illy iperEspresso coffee capsules requires the use of one of the home pod coffee machines made by one of the manufacturers that illy is working with, such as Gaggia and Francis Francis. Using these coffee capsules takes only around 30 seconds to get your cup of coffee. What appears in your coffee mug is a nice, rich espresso with a crema that is long-lasting. This perfect cup of espresso is the result of the two-phase extraction process that you get with this coffee capsule system. You can order these in either a canister, cube or single capsule packs. If you opt for the canister, then you get 21 capsules with a retail price of $18. In the cube, you get 18 coffee capsules at a price of $16.50. For the single capsule packs, you’re looking at a retail price of $13 for 14 individually wrapped capsules. Want to check the current prices on these at Amazon? Click Here. Please note that prices vary. Of the two, I would guess that Nespresso coffee capsules are the more widely recognized brand. It helps that they have been on the market in the US a bit longer than illy. An interesting thing about the Nespresso coffee pods is that you have two different lines that you can buy. Their Original line has the traditional coffee cup pod design. Their VertuoLine are rounded coffee capsules in two different sizes. Probably the best thing about Nespresso is that you have a lot of choices of both coffee and espresso roasts with both of the lines of coffee capsules. This is great for small offices as well as people who like a little variety in their coffee routine. When you go to order their capsules, you can just buy them as a single capsule purchase for most flavor varieties, with a few multi-packs available. See what I mean by looking at their site here. Prices are low too, with $1.10 per capsule being the highest price right now. What’s unique about Nespresso compared to illy is that they have their own line of Nespresso branded coffee pod machines, as well as those by other manufacturers, like KitchenAid. To see all their machines at once, check out their official website here. You may need to shop around for the best price. Click here to look on Amazon now. Prices for the Nespresso coffee pod machines vary. It’s quite the price range, which leaves something for everyone. Conclusion – Which is Better? As you can see, the illy iperEspresso only wins at one thing when comparing to the Nespresso – coffee yumminess. Of course, the Nespresso has a good flavor too. Bottom line – if you’ve got the extra money to spend, then you are better with illy iperEspresso due to its richer and smoother coffee. 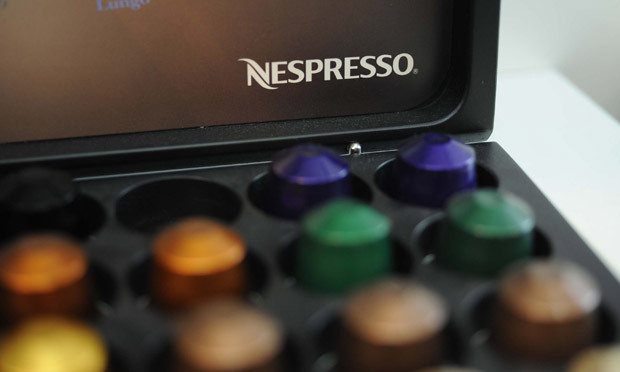 If you’re on a budget or want the best value coffee pod system, then go with Nespresso. Either way, you get a great cup of coffee. I have tried and liked Illy coffee and Costa Coffee…..I have a Nespresso machine but I find that so many Capsules taste almost the same. Tempted by an Illy but really would like to taste a few capsules first. Was looking to see if they make a capsule that would fit the Nespresso machine so that I can compare…..any suggestions? Mike. We have a Nespresso also. On a trip away at new year 2017, the hotel room had illy coffee (in pod form). The first taste had me stop in my tracks. Uccello is right. Nespresso doesn’t come close to the creamy coffee dreaminess of illy. Having arrived home we now have a decision to make. I think a chance is coming. I completely agree, Illy coffee tastes the best. I used to have an espresso machine and used Illy espresso, but was wooed by the Nespresso hype and then the Nespresso Virtuoline. So now I have both machines on my counter and buy many different pods. I thought I was happy until I used an Illy espresso machine and I was brought back to the Illy taste. Gone are the Nespresso machines and LOVE Illy espresso! Gents, comparing Illy coffee with Nespresso is like comparing Mercedes SLK with an Opel Zafira. Yes, they are both cars, and the second one is cheaper, but there is a reason. Don’t waste your $450 on the Francis Francis Y5 machine from Kaffeina. I have had to send it back 3 times due to faults. I have asked for a full refund as it is still under warranty, but they refuse. Every time I send it back, I am 2 weeks with no coffee at home, which in a busy household is so inconvenient. Stay clear of this dud!! Everyone- I bought Illy coffee in a canister. I put it in a refillable pod in my ICoffee Opus machine. Fantastic!! Hi folks, thank you for your previous posts. I love coffee and converted to a nespresso Pixie machine 18 months ago. It has been in and out of repair six times since June 6th 2017. I am tired of the usual conversation to nespresso – its not our machine its DiLongi, so we send it back to them. its their decision whether they give you a new one etc etc. So – having tried deliscious Illy coffeeo n various occaisions I am very tempted to convert to it. 1) I do not wish to pend a fortune on a new capsule machine. 2) I usually enjoy strengths 7/8 in the Nespresso range – Voluto type coffe or Columbian. I hate too weak coffee and i drink it black. Dear members please advise me on which Illy machine and which type of capsule I should look for. Thank you. Have you looked into the promo on Illy website for a free matching with subscription to the pods? You have to commit to 36 canisters at retail pricing but the machine is free plus a gift of your choice. I am thinking about this or going with nespresso on Black Friday. Beneath I have summed up the differences between Illy and Nespresso to help you in your decision making. 1. The capsules: Illy capsules contains 7 grams of ground coffee, where nespresso only contains 5 grams of ground coffee. 2. Nespresso machines produces more coffee. Hence more water in their espressos and weaker taste compared to Illy. 4. Nespresso machines and cups are cheaper. 5. Nespresso machines are the quickest but that does not mean they are better. Personally I think the larger amount of water and the faster brewing by the Nespresso machines is what makes the nespresso coffee less strong than Illy. How strong the brew is depends on the speed of the water runs through the coffee. The slower the water runs through the coffee the stronger the brew. The water has more time to absorb the caffeine and all the tastes. The advice I can give all of you is: When taste is secundary to value for money to you. I suggest you buy Nespresso. If taste is more important to you then Illy is the preferred option. I’m an Illy guy myself and I can recommend the Francis Francis X7.1. I have that machine myself for a year now and the espresso comes out perfectly every single time and frothing milk with it for your cappuccino or latte macchiato is easy as can be. I just want to let you know my opinion…..I am Italian and I know very well how Italians take the espresso and how it is made at the bar. It is not so much long (30 ml it’s perfect) and must have a rich cream on the top, to be perfect the cream should not have any drop but perfectly smooth. The smell must be good, not metallic, but has to taste of chocolate, honey, spices etc…. In Italy there are many good coffee brands but Illy in my opinion is one of the best and their home coffee machines always give you a perfect coffee. As I live in London now I often go to the Nespresso bar in Cheapside (which is a faboulous place) but the coffee is not very good. I wanted to taste the espresso coffee (Diavolito capsule) at the shop in Piccadilly. The coffee was very long (40 ml.) the smell wasn’t good as well as the taste. I didn’t even finish it!!!! I am sorry for what I am writing (this is my personal opinion -of course) but if you like an espresso – Italian style and taste – do not go for the Nespresso!!!!! I have a FrancisFrancis for illy machine. Are there any other coffee pods – besides illy – that are compatible with the machine? I know the coffee won’t taste the same if I don’t use illy pods, but I’m having difficulty finding them where I live. Shawna, please check the Wikipedia. By definition, for the real espresso, you need 7 ± 0.5 g of coffee. Nespresso capsules contain only 5 grams of ground coffee, so they are not a real espresso. Illy ipereEspresso capsules contain 7 grams of coffee. You can get real, certified Italian espresso from Illy machines. I have been making Nespresso coffee for years and it is good. Several weeks ago on the TGV from Zurich to Paris I ordered an espresso. I was blown away by how incredible it was, delicious and rich. I glanced at the machine on the cart and it looked like a normal Nespresso maker. I looked at the container for pods, Illy. There is no comparison, I will be going to the local home goods and will buy the Machine for $99. Next time I see an Illy boutique I will stock up on Illy coffee instead of Nespresso.